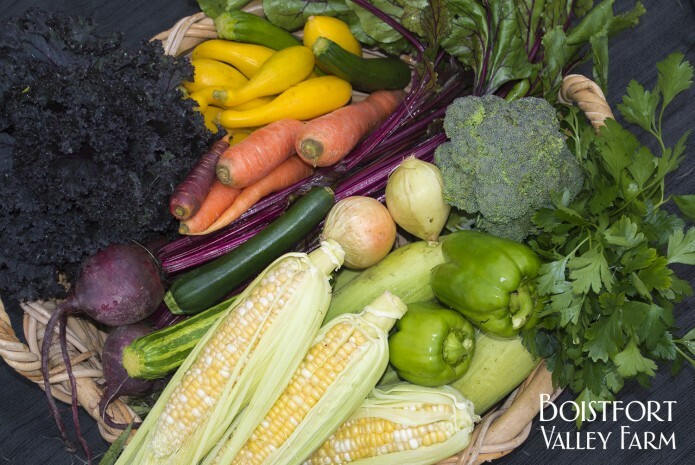 News and updates from Boistfort Valley Farm. Greetings from the Boistfort Valley! The sunny weather has made me grateful and itchy to get outside and work, but the temperature fluctuations remind me of our reality. Still, it’s nice to go out and trim back the perennials that escaped our attention during the busy seasons, soaking up a little sunshine as a side bonus. I’ve marked all items from our farm with an asterisk (*). 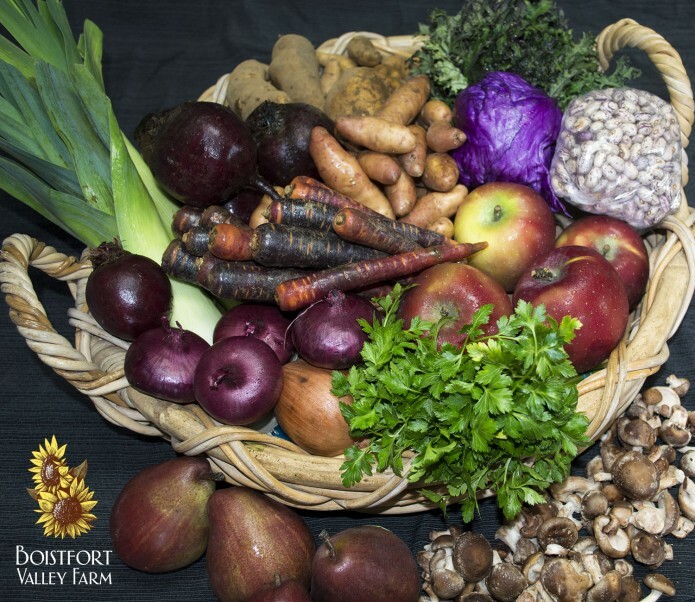 The other produce is certified organic, Washington or Oregon grown. 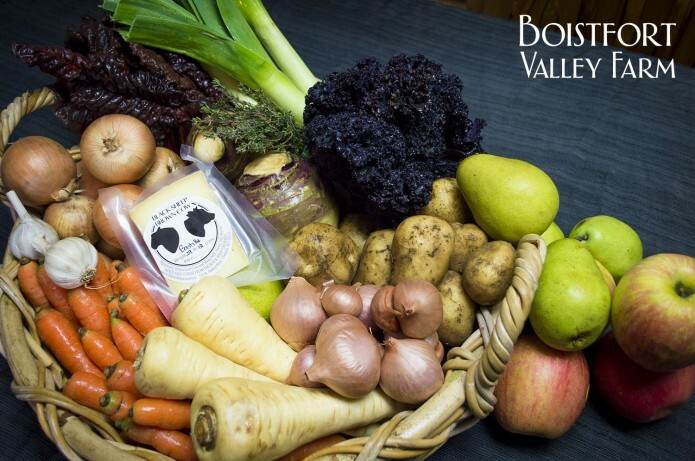 Our cheese selection is from Black Sheep Creamery, located about 10 miles from us in Adna, Washington. Brad and Meg Gregory have owned the farm since 1992, and began making cheese over 10 years ago. They just opened a retail store in downtown Chehalis, so if you’re in the area, stop in to say hello and to try a variety of their products. Pre-heat oven to 400°F. In a large roasting pan, toss the parsnips with olive oil, salt and pepper. Add the broth, cover and roast, stirring once or twice, until the parsnips are just tender and the stock has evaporated or been absorbed, 20-30 minutes. Remove cover and allow liquid to evaporate and parsnips to brown slightly in places. Depending on your oven, you may have to broil them briefly to avoid overcooking. Combine the softened butter with the horseradish, parsley, chives and garlic and season with salt and pepper. Toss the warm roasted parsnips with the horseradish-herb butter and serve. Preheat the oven to 350 degrees F. In small bowl toss together cheese and chopped herbs; set aside. Coat a 3 qt. rectangular baking dish with olive oil. Layer half the turnip slices on the bottom of the dish, sprinkling salt, pepper, and 3 to 4 tablespoons the cheese mixture. Follow with half the potato slices, half the leek slices, half the parsnip slices, and half the sweet potato slices, seasoning and adding cheese to each layer. Repeat, ending with sweet potato slices. Reserve remaining cheese mixture. Cover with foil. Bake for 40 to 50 minutes. Remove foil. Sprinkle remaining cheese mixture over top. Increase oven temperature to 400 degrees F. Continue baking, uncovered, 15 minutes or until cheese is melted and starting to brown. Remove from oven. Let stand 10 minutes before serving. Don’t layer your pears too much-you want them to get a little crispy around the edges. If you don’t have the time to put this into the oven, just slice up the cheese and the pears and eat them together. Happy New Year! 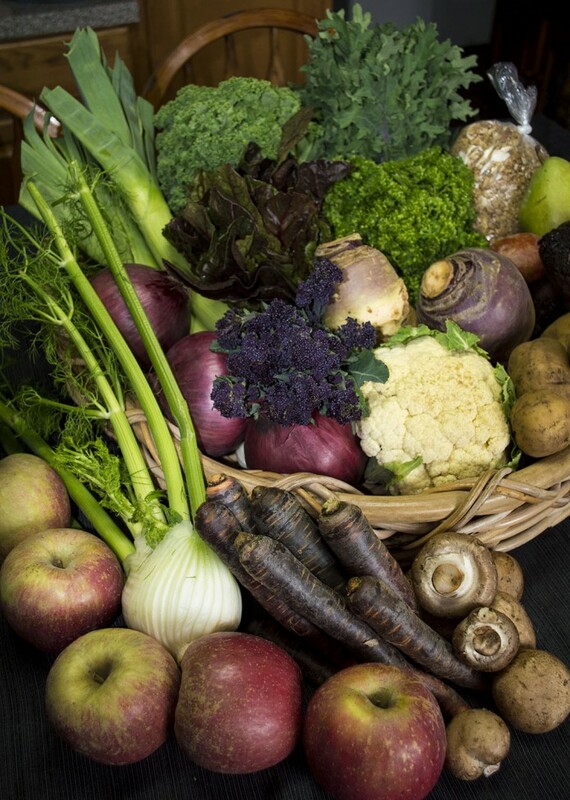 We have a variety of lovely produce for the deliveries this week. All items with an asterisk (*) are from our farm. The other produce is certified organic, Washington grown (this is, the apples and pears). 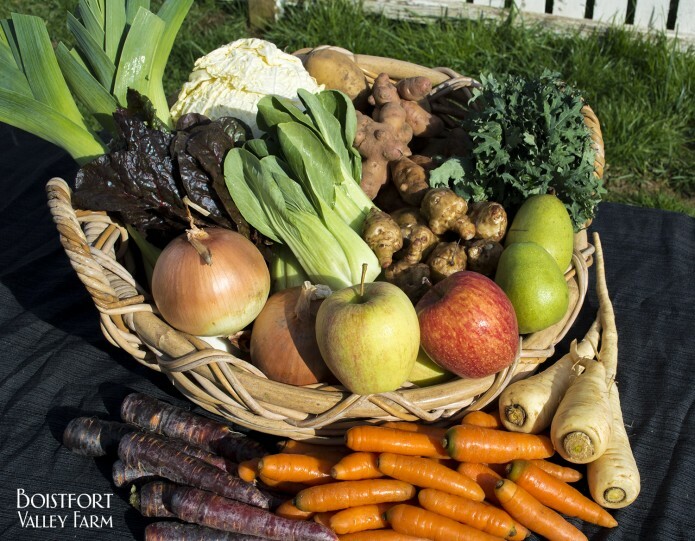 As a reminder, if you have any questions about time or location of your delivery, please log into your account at our website orcontact us at the farm. The cold temperatures and the snow have kept us out of the field for the last little bit, but they didn’t do much damage to the Winter veggies. The snow especially delighted Natty, who was out there throwing snowballs morning and night, much to the displeasure of our Labrador, Dinah. Snowballs, unlike tennis balls, explode on impact, and Dinah learned this the first time she caught one in her mouth. She spent the rest of the day lurking on the porch, staring out the window, presumably waiting for the snow to melt. Well, melt it did, but it’s been quite icy in the mornings, and we step carefully around the farm to keep from slipping and sliding, especially with loads of produce. We are looking forward to the warmer rainy weather we were promised by the folks who study these things. Please be careful out there when picking up your boxes! The San Rafael Urias farm rests on the side of a small mountain in the valley of San Miguel Duenas, Antigua. It is shadowed by the Agua (Water) and Fuego (Fire) volcanoes. Founded by Rafael Valdes Quiroa in the late 1880s, it is now owned and managed by the third generation of the family, headed by Don Isidro Valdes. Workers on the farm are allowed to grow their own crops in these areas. There is also some land reserved as forest, providing a sanctuary for migrant birds. San Rafael is also benefited by small natural springs, which give clean drinking water and irrigation for the seedlings in the nursery. They have now piped this spring over 1.5km to their mill and use it for the washing and pulping of the cherries (the raw coffee beans). The farm is also next to the Guacalote River, which is used to provide hydraulic energy to the coffee mill. This is a genuine Antigua coffee as certified by the APCA, the genuine Antigua Coffee Growers Association. The APCA was created by local producers in 2000 to protect the ‘Antigua’ reputation. Unfortunately, many lesser quality Guatemalan coffees were sold under this prestigious name and it became damaging for the true local producers. The APCA have gone on to help other growers in the area with training and support to further their craft. Enjoy! Cook rice in a pot of boiling salted water until al dente. Drain immediately. In a nonstick wok or large skillet, heat the oil. Add the leek, carrots and cabbage and stir-fry over high heat until the vegetables are softened and beginning to brown, about 7 minutes. Add the garlic and ginger and cook until fragrant, about 1 minute. Add the rice and stir-fry until heated through and beginning to brown, about 3 minutes. Push the fried rice to the side of the pan to create a well. Pour the eggs into the well and cook, stirring gently, until nearly cooked. Toss the fried rice with the eggs and cook for 1 minute longer. Remove the pan from the heat and stir in the soy sauce, lime juice and scallions. Transfer the fried rice to bowls and serve. Meanwhile, strip the kale leaves from the stems, and chop leaves into bite-size ribbons. Rinse thoroughly. Discard stems. In a large skillet, heat a drizzle of olive oil over medium heat; add garlic. Cook on low for about 2 minutes or until garlic is golden and fragrant. Add kale leaves and stir to coat. Cook on medium-low for about 10 minutes or until leaves are soft and tender. Add a bit of water if needed to keep the kale from drying out/scorching. Remove from heat. When the beets are cool, remove skins (they should slip off easily). Chop beets into bite-sized pieces and toss with the cooked greens, goat cheese, and almonds. Season with salt and pepper to taste. Serve warm or cold. If you have any questions about time or location of your delivery, please log into your account at our website or contact us at the farm. Peel the kohlrabi, then slice and cut into matchsticks. Wash the carrots and cut them into matchsticks as well, or as close to matchsticks as possible. (Mine were short and chubby so this was a challenge.) Next, slice the apple and also cut it into matchsticks. You can peel the apple if you wish, but I didn’t. In a small jar, add all the dressing ingredients (honey through vinegar). Screw the lid on and shake till well mixed. If you don’t have a jar, you can use a bowl and a whisk, but I highly recommend saving a jar or two for making homemade dressing. So easy! Taste the dressing and add more honey or mustard to taste. Then toss all together and enjoy! The drier squashes will work well in this recipe; use the Delicata sparingly if you choose to include it, as it is very sweet. This week’s boxes are a bit heavy, reflecting the beginnings of the storage season. Please lift with your legs when you pick up your share! Next week’s boxes will be even heavier, so you might want to bring a cloth bag or two to help distribute the weight. This week’s corn is the last of the season, and although it’s quite yummy, it didn’t get the heat that it should have to help it pollinate fully. Please enjoy it in all its November local-corn glory anyway. We’ve never had corn in November before, and may never again! I haven’t left much room to wax poetic about the weather or on-farm happenings, but I have yummy recipes to share, so perhaps that’s even better! Preheat oven to 350 degrees F. Arrange squash halves cut side down on a baking sheet. Bake 45 minutes, or until tender. Dissolve the sugar in the melted butter. Brush squash with the butter mixture, and keep squash warm while preparing the stuffing. Heat the olive oil in a skillet over medium heat. Stir in the celery and carrots, and cook 5 minutes. Add garlic and sauté an additional minute, until fragrant. Mix in the garbanzo beans and raisins. Season with cumin, salt, and pepper, and continue to cook and stir until vegetables are tender. Pour broth into the skillet, and mix in the couscous. Cover skillet, and turn off heat. Allow couscous to absorb liquid for 10-15 minutes or until cooked. Fluff with fork and stuff squash halves with the skillet mixture to serve. Chop onion and sauté in oil until soft and translucent. Chop up the stems of the Swiss chard and add them to the onion. Cook until they start to soften. Chop up the leaves of the chard and add them to the pot. Cover, and cook, mixing occasionally, until wilted. Add the rest of the ingredients, mix well, and cook a few more minutes. November certainly brought some Autumn weather with it! It rained about 4 ½ inches here over the weekend, making our field roads muddy and our poor crew soaked. I’m ever grateful for every one of our farm family every day, but especially this time of year, when each set of hands makes the work just a little bit lighter. 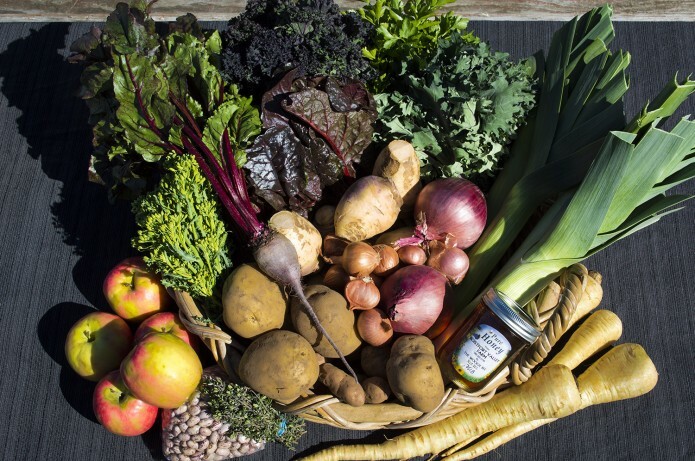 I have added a few veggies to the website for add-on purchase; specifically, carrots, beets, and kraut cabbage. 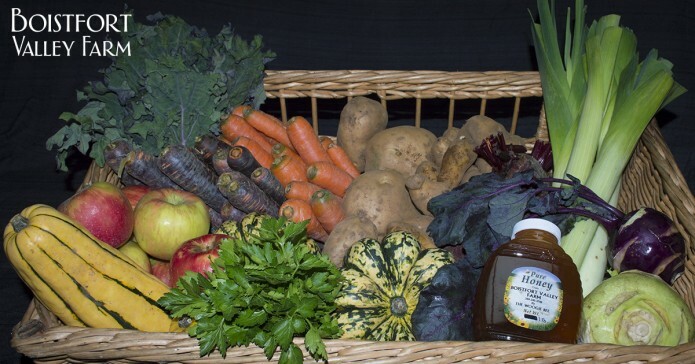 Additional quantities for eating, juicing, or preserving can be ordered with any of your share deliveries. Please remember to order 72 hours in advance of your delivery day! In a large pot over medium heat, sauté onion and celery in butter until tender. Add garlic and parsley and sauté until garlic is fragrant but not browning. Add the flour, stirring well, to make a pasty mixture. Whisk in the broth. Add the corn, the carrot, the boullion cube, and two of the corn cobs and bring to a simmer for about 20 minutes. Add the milk and heat until just barely simmering. Add salt, pepper, and cayenne to taste. Serve hot. Heat oil in a 5-quart pot over moderately high heat until hot but not smoking, then sauté onion, stirring occasionally, until golden. Add apple and curry powder and sauté, stirring, until apple is almost tender, about 2 minutes. Remove from pan. Add kale and broth to the pan and cook, covered, stirring occasionally, until kale is tender and most of liquid is evaporated, about 5 minutes. Return apple and onion to the pan and cook until just heated through. Preheat oven to 350°. Spread out pistachios on a small rimmed baking sheet; toast, stirring occasionally until golden brown, 6–8 minutes. Let cool; coarsely chop. Combine garlic, raisins, and vinegar in a large bowl; let sit 1 hour. Remove garlic from raisin mixture and discard. Add carrots, beets, pistachios, parsley, mint, lemon juice, and red pepper flakes; season with salt and pepper and toss to combine. Add oil; toss gently. Our preparation for Winter continues! Mike has begun cover cropping the fields, we have tucked the last of the Winter squash into storage (expect some in your shares soon! ), and we are making the most of the daylight as the darkness creeps into our work time. 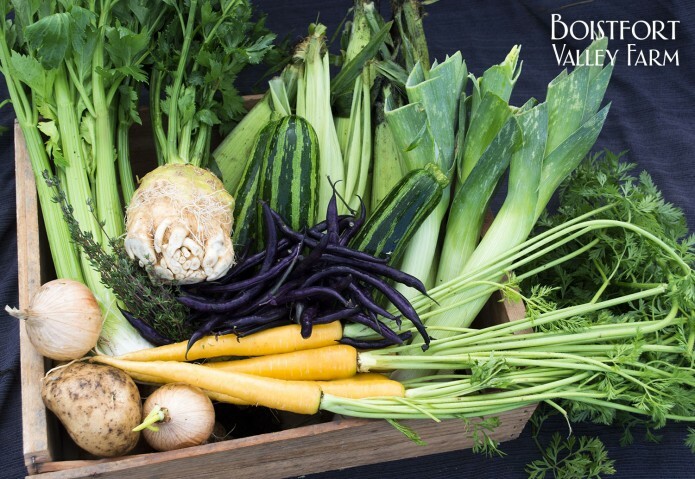 We still have a few high Summer vegetables this week, but the rain and cold will finish them off in a hurry. We are excited to finally send you some corn! Initially dubbed “Christmas Corn” by Mike (as we jokingly hoped it would be mature by December), we are pleased to have it before Hallowe’en. Enjoy it right away-it’s sweetest when fresh picked. This is most likely the last of the fresh beans for this season (fresh beans being green, purple, yellow, and Roma). Rain generally diminishes their crispness and makes them harder to keep. Please eat your purple beans quickly this week! I have added a few veggies to the website for add-on purchase; specifically, carrots, beets, and kraut cabbage. 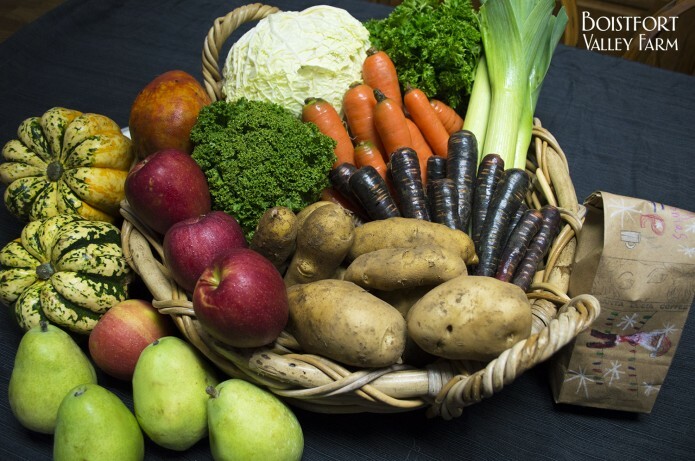 Additional quantities for eating, juicing, or preserving can be ordered with any of your share deliveries. Please remember to order 72 hours in advance of the delivery day! We anticipate having our full Winter shares available for sign up on the web site by the end of this week. 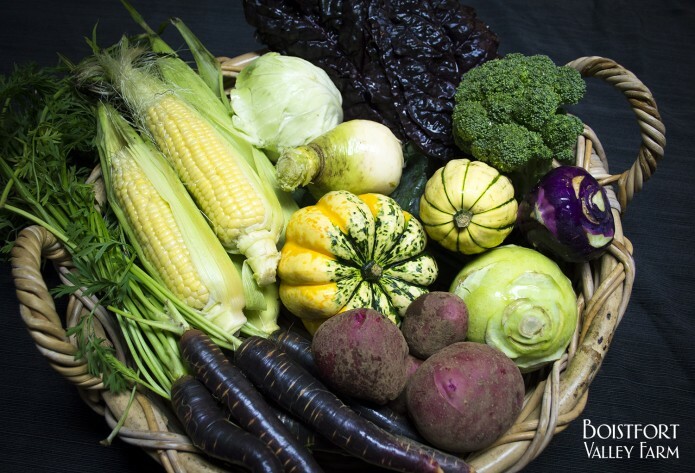 This season we have elected to shorten the Winter/Spring season, to highlight more of our own produce and minimize outside purchasing if at all possible. Deliveries will be twice monthly through the end of March. We will include local ‘extras’ as we have in seasons past, such as cheeses, coffee, kraut, in addition to our dry beans and farm honey. I’ll send out a notice when the share goes live! I’m making a LOT of soup lately, to help combat the dampness creeping into my bones. Here are a couple recipes for you to try out. In a large pot, heat oil and butter over medium-high heat. Add leeks and sauté until starting to soften, about 2 minutes. Add carrots, celery, salt, garlic, black pepper and cayenne; sauté until vegetables start to soften, about 5 minutes. Add stock, cream, thyme (as whole sprigs-just remove stems from soup before serving) and parsley; bring to a simmer. Reduce heat and simmer, stirring occasionally, while you assemble the dumplings. Prepare the dumplings: In a large bowl, combine flour, cornmeal, baking powder, baking soda and salt. In another bowl, whisk together eggs, buttermilk and butter. Pour over dry ingredients, along with corn. Using a large spatula, fold the dry ingredients into the wet just until mixed. (Don’t overmix, or the dumplings will be heavy and tough.) Drop dumpling batter by tablespoonfuls into simmering soup. Cover, reduce heat to low and simmer until vegetables are tender and dumplings are cooked through, about 20 minutes. Melt butter with oil in heavy large pot over medium heat. Add leeks and onion and sauté until almost tender, about 10 minutes. Stir in potatoes, celery roots, thyme, and bay leaf. Add broth and bring to boil. Reduce heat, cover, and simmer until vegetables are tender, about 40 minutes. Add celery stalks and simmer until all vegetables are very tender. Cool slightly. Using handheld blender, puree soup in pot. Stir cream into soup. Season to taste with salt and pepper. Ladle soup into bowls. Garnish with reserved celery leaves and serve.